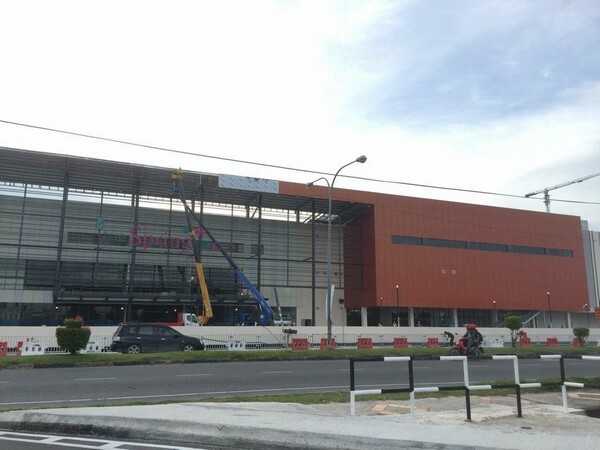 Great news Bintulu people, finally another new shopping mall is now in Bintulu. tHe Spring Bintulu blooms as the first and only regional lifestyle shopping mall strategically set at the city centre’s sea front premium location and also, right in the heartbeat of premium residential development plans in Bintulu town. With 127 retail outlets, it will bring international fashion and beauty brands complimented with dining and entertainment options. Its sea front esplanade invites for major events and its food court boasts of a vantage point for a panoramic view of the South China Sea from its alfresco area. Join tHe Spring Bintulu’s team today as we seize exciting waves of a FRESH retail venture! Finally, the signboard for The Spring Bintulu is up. Another new place to visit in Bintulu! !